Mr Hugo Campbell Bazett, an advertisement writer, of Slough, applied for total exemption on the ground of serious hardship. His wife was in a weak state of health, and was not able to earn her own living. He was ready to go personally, but his wife could not live on the separation allowance and he had no other means. In reply to Mr Fullbrook applicant admitted that he had no financial responsibilities. They were now living in apartments. The tribunal adjourned the case while they sought advice on what their powers were regarding the cases of married men. Evidently Hugo was not successful as before long he was serving as a Private in the Grenadier Guards. He was posted to the 4th Battalion, Grenadier Guards, serving with the 3rd Guards Brigade in the Guards Division. Sadly the casualty report mentioned in the diary entry has not been retained with the diary (unlike those for other periods), as it might have shed some light on Hugo’s death, which is reported to have occurred on this day. Either Hugo was killed ‘by hostile aircraft’ (ie bombing or staffing from an enemy aircraft) at some point during this seemingly busy but safe day’s activities, or he was wounded before this date and succumbed to his wounds on this date. It seems more likely that the latter is the more likely. This presumption arises because he was buried in a cemetery serving a dressing station at Bleuet Farm. This implies that he has been wounded and evacuated to the dressing station. Of course the wound that required treatment may not have been inflicted by an aircraft – the fatal air attack could have been upon Bleuet Farm itself while Hugo was receiving treatment for some minor wound. 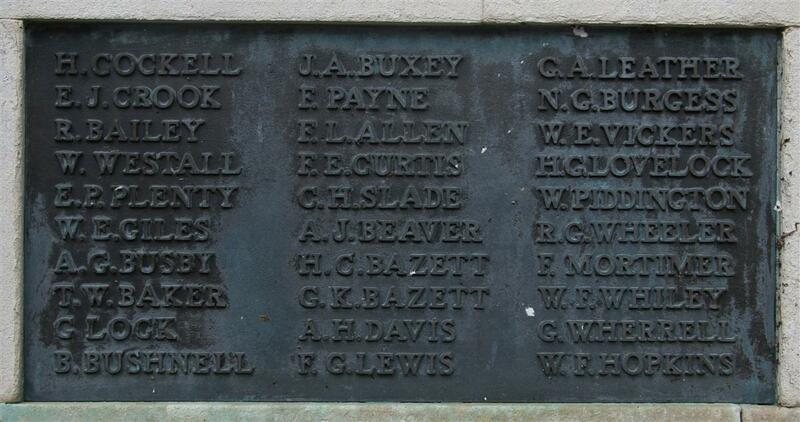 Hugo's name on Newbury War Memorial, immediately above his brother Gilbert. Locally he is remembered on Tablet 9 of the Newbury Town War Memorial his name is immediately above that of his younger brother Gilbert who died a few months earlier at a Casualty Clearing Station at Bailluel, south of Ypres. Another brother, Frank, was mayor of Newbury in 1916 when he too was called up to serve. He earned an MC and rose to the rank of Captain in the Royal Berkshire Regiment before returning to Newbury to carry on his father's firm of solicitors. During WW2 he was once again mayor of Newbury.